Through this post, you will get Helpline Number UFone, Jazz, Warid, Telenor, Zong Code in detail. Telecommunication services in Pakistan are being upgraded day by day and every company strives to provide best services to their customers and for this purpose, they have developed the helpline where the customer can contact 24/7, 365 days a year. According to some unofficial reports, Pakistan was ranked world’s 3rd fastest growing market for telecommunication companies. Many foreign and domestic companies have invested in the telecommunication industry in Pakistan due to its vast scope. Currently, there are to five companies are working in Pakistan including Ufone, Warid, Jazz, Telenor, and Zong. The Helpline numbers of these telecommunication companies are shared on this website, so consumers can contact to the helpline in the hour of need. So check these helplines online today. 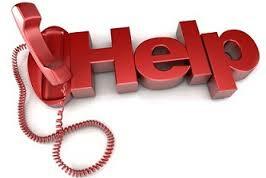 Almost every person sometimes feel to get instant help from their telecommunication company. In case, if you want to check the Helpline Number UFone, Jazz, Warid, Telenor, Zong Code then in the following side, we are sharing the Helpline number of all these telecom companies. Jazz Helpline Number is 111. A customer can contact on this helpline 24/7 to get information about packages as well as to resolve any issue that you are facing according to services. It very simple to talk with the Jazz customer care representative through this helpline. You just need to call on 111, after that select the language and then press 0 to talk with customer care officer. Ufone Helpline Number is 333. Ufone customers can contact on this number anytime to get help about the latest packages. The procedure for talking with the customer care representative is the same as given in the Jazz helpline number heading. So contact to Ufone Customer care helpline in the hour of need. Zong Helpline Number is 310. This helpline number remains active for 24 hour a day and 365 days a year. Customers, who want to talk to customer care can simply dial 310 and then after selecting language can press the 0 buttons to talk with the Zong customer care helpline officer. All the calls with the customer care will be recorded by the company. Warid Helpline Number is 321. Warid is also in the list of best telecommunication companies in Pakistan which is also providing helpline number where its customers can contact at any time. Telenor Helpline Number is 345. On 345, Telenor users can contact at any time for any purpose like they can ask about the latest packages and services and can also complain about any problem. These are the HelpLine Number UFone, Jazz, Warid, Telenor, Zong Code that you can use for getting any type of information about these services.